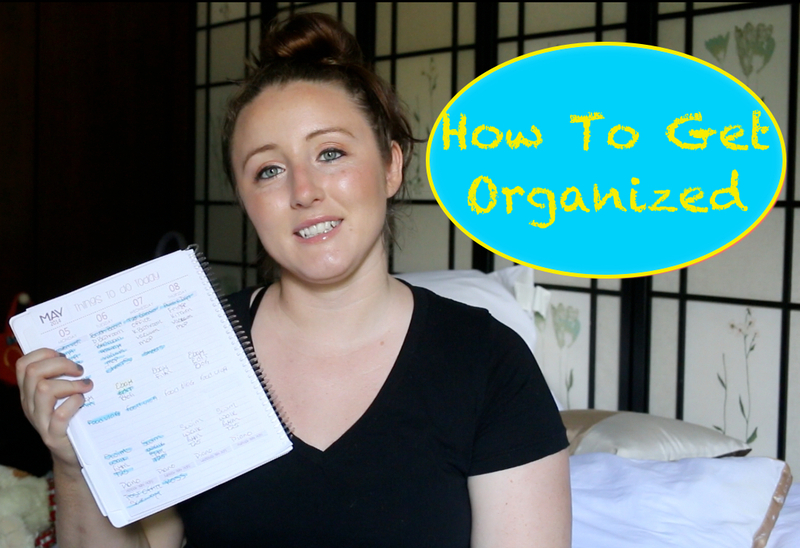 I recently shared with you guys that I suffer from OCD, having OCD can lead me to be obsessive about being organized, as I can often feel very overwhelmed and out of control if I don’t have a specific plan for pretty much everything in my life. You guys also know that I work from home, which leads to so many issues of trying to prioritize and balance my home/work life, so I thought I would share with you guys my general home/work organization. The first thing I would do is invest in a good planner, make sure its a planner that has a daily planning section so you are able to keep track of everything you are supposed to accomplish that day. If you work from home you need to decide what time of day (morning or afternoon) do you wish to be your work time, I have found it is best if you choose a work time and a home time, that is after all the whole point of working from home; setting your own hours. As you can see I only do a couple of things per day, but it keeps my home looking nice all week long as well as allowing me the freedom of anxiety of having a cluttered messy house. You can also see I have wrote in my gym time, piano time, and a time for the dogs to have a nice long walk. One thing I would recommend is writing all your appointments in red, normal everyday stuff in regular blue/black ink, and then after you have finished an item cross it out with highlighter. Then when it comes to your work items I would do it exactly the same as your home items on the correct day, making sure to only write what can actually be accomplished that day, and crossing items off once they are complete. I would recommend starting this plan with the intention of working on it for one week, there is no need to stress yourself out trying to clean your whole house at once just so you can get on a good schedule. constantly bringing sticks and leaves into the house. with the dishes we use throughout the day. I hope this helps any of you out there who are struggling to manage your home/work life, it is a bit of work in the beginning but once you get the hang of it (about 2-3 weeks) you will be so happy you did it.